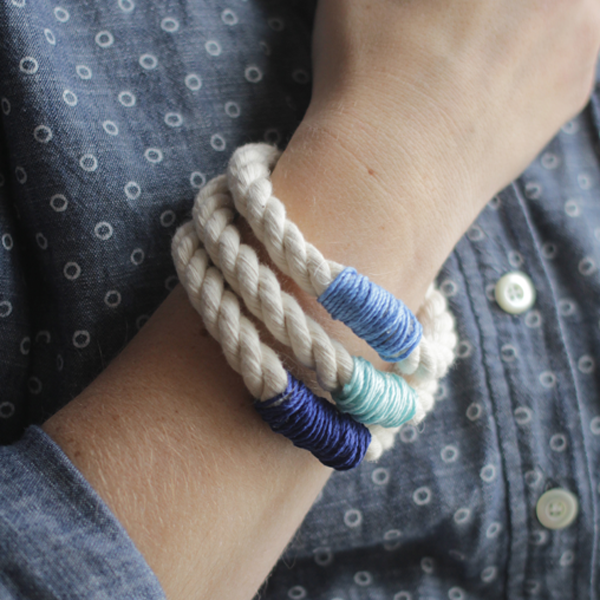 These bangles are so easy, you’ll be able to make them in 20 minute or less. 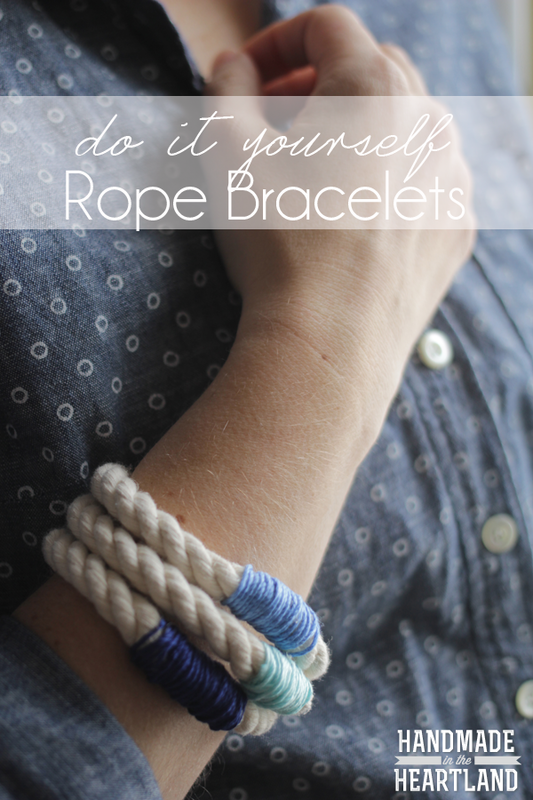 They look great with the nautical knot rope necklace or just by themselves. All your going to do is cut them to the length you want, mine were 7” long and using a glue gun, hot glue the ends together. Once that is dry (just a few minutes) put a dab of glue to the side of the “seam” and attach a strand of either waxed thin rope, string, or thin suede and wrap it around, hiding the seam and then glueing it at the end to secure it. 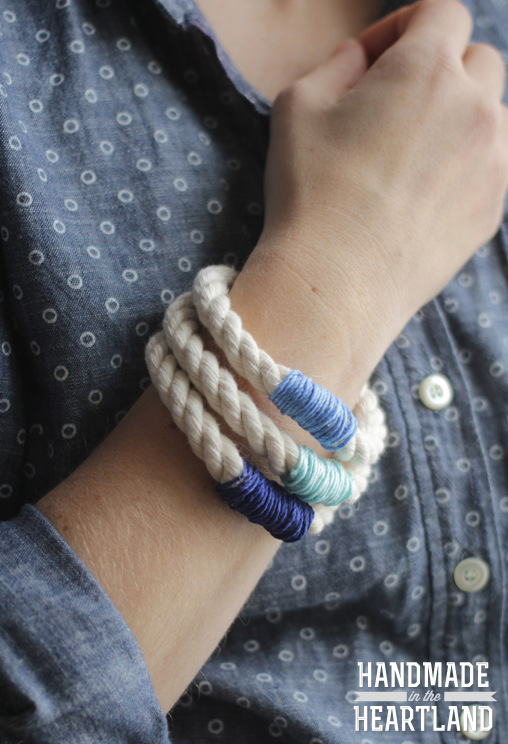 Viola, you’re done and you have some awesome new bangles to sport.